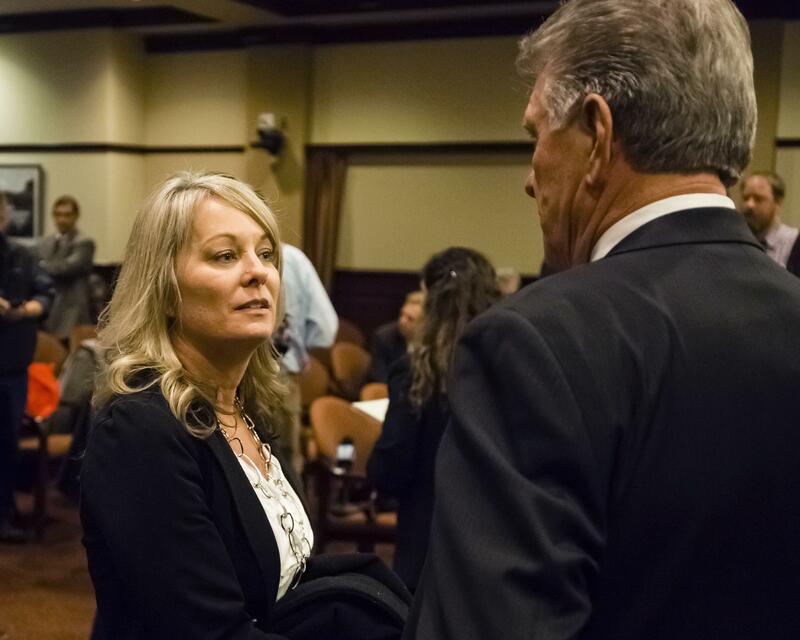 State schools Superintendent Sherri Ybarra’s latest campaign finance reports raise some questions, all revolving around a $2,400 payment she made from her campaign to herself eight days after the May 15 primary. It was a reporter asking those questions – Clark Corbin of Idaho Education News – that prompted a week of exchanges between officials at the Idaho secretary of state’s office and Ybarra’s campaign, culminating in the filing of multiple amended reports stretching back into the first half of 2017. “There’s nothing that says you can’t amend your report – there’s nothing that prohibits it,” said Chief Deputy Idaho Secretary of State Tim Hurst. Ybarra’s reports now are up to date, as Corbin reported last week. The central point here: It’s illegal to convert campaign funds to personal use. In fact, it’s a crime. But it’s perfectly legal for candidates to loan personal funds to their campaign, and then later, when fundraising has more than covered that amount, pay themselves back. Ybarra’s original reports, through three reporting cycles – the first half of 2017, the second half of 2017, and the pre-primary report filed in May – all showed no loans from Ybarra to the campaign. Instead, the campaign reported zero debt. They did, however, show two donations from Ybarra to her campaign. She reported donating $400 on April 12, 2017, toward her primary campaign for re-election, and $2,000 on Aug. 29, 2017, toward her general election campaign for re-election. Then, in her post-primary report on June 18 – which was filed four days after the filing deadline – Ybarra reported that she’d paid herself back for $2,400 in loans, in a single payment on May 23. The question is the intent. But Hurst said the secretary of state’s office doesn’t have the resources to fully investigate what a candidate’s intent might have been. “We have to rely on the reports,” he said. Hurst said the secretary of state’s office has asked the attorney general’s office for advice. Neither Ybarra nor her campaign treasurer, Tim McMurtrey, could be reached for comment. The secretary of state’s office earlier opted not to impose fines on Ybarra for filing late; it made the same call for another statewide candidate, GOP lieutenant governor nominee Janice McGeachin, whose post-primary report also was four days late. While fines rarely are imposed, Hurst confirmed that one legislative candidate, Alanna Brooks, who despite multiple contacts never filed any of the required campaign finance reports until June 8, was fined $400. Brooks is a Democratic candidate for a House seat in District 2 in North Idaho who, once she filed, reported no fundraising. The only other fine imposed so far this year was $50 on the Idaho Democratic Latino Caucus; the fine was imposed June 28, and paid June 29. The secretary of state’s office also reports that it has sent warning letters – and still could impose $50-a-day fines – on four political action committees so far this election cycle: AIA Idaho PAC, Keep Idaho Elections Accountable, Liberty Shoot, and Local 5005 Worley Firefighters.